Entering its 10th year, the FIX Trading Community™ India FIX Conference has already been established as the leading electronic trading event in India where industry peers and colleagues who work, compete and face the same challenges come together to discuss the most pressing issues in the trading world. The conference aims to address the most pressing issues facing the institutional trading community in India and provide a neutral platform for the stakeholders to meet and discuss industry best practice, including details on trading community implementations. This electronic trading conference is designed for both traders and technologists trading equities and derivatives in India and offshore markets. 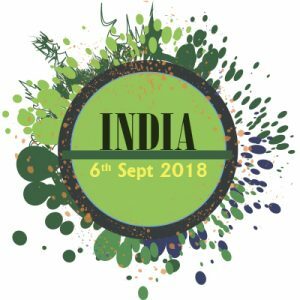 The India FIX Conference is 100% constructed by senior trading professionals and technologists active in Asia Pacific ensuring that the event offer relevant, actionable content, as well as meaningful interaction and networking with market participants, policy makers, regulators and solution providers. We will continue to provide a forum for industry participants to influence the continued evolution of electronic trading in India and also provide a platform for learning about the latest trends and tools in the industry. The conference will continue to be free of charge to FIX Trading Community members and buy-side participants.